Alzada IPA is the 22nd distinct beer we’ve released in our 22 weeks of operation. This is the 6th distinct IPA that we’ve released. (As of the time of this writing, we have 2 on tap and 4 on the ‘past beers’ list!) Alzada IPA boasts an ample dose of hops, carrying a good balance of bitterness and aromatics that will hit both your nose and your pallette. Our brewmaster also opted to utilize a proprietary hop family from Yakima Valley Hops known as “Cryo Hops”. Cryo Hops use cryogenic technology for preservation, rather than kiln drying with heat, which allows for less breakdown of flavor-producing components in the hop cones. 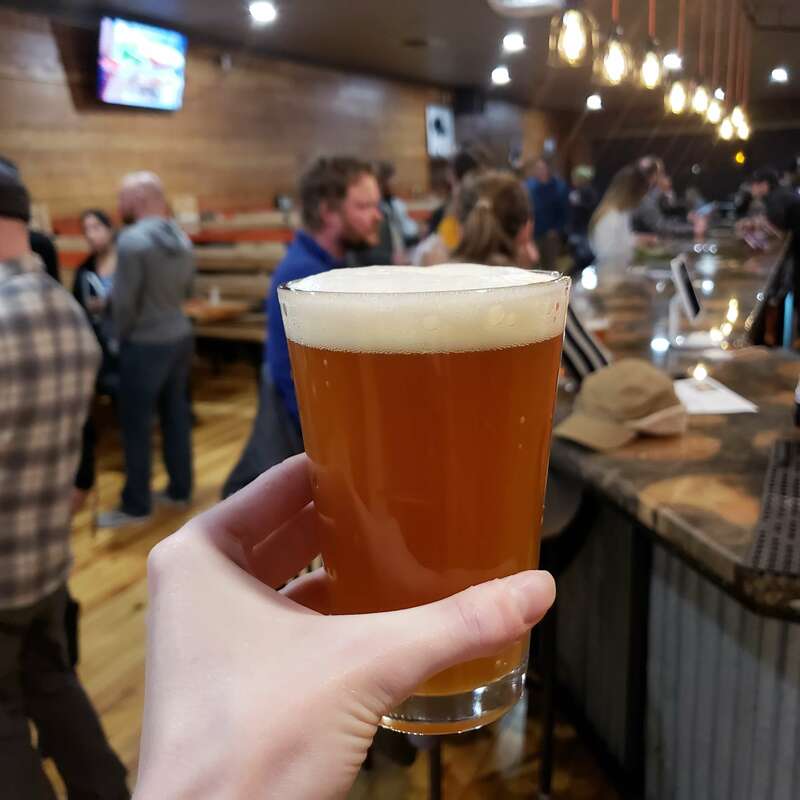 Alzada IPA is named after Alzada, Montana, a small town in the southeastern corner of the state where one of the founders of Bias Brewing was raised. And by “town” we mean “wide spot in the road”. In February 1884, a notorious cattle rustler and accused murderer named George Axelby and his gang of roving desperados, (including Billy “the Kid” McCarthy), stopped at the saloon in Alzada on their way to spring their fellow criminal, Jesse Pruden, out of prison in Miles City, Montana. They were apprehended in Alzada by a combined force of law enforcement from the US Marshal and Montana and Dakota Territory agents. A violent shoot-out and a chase to a nearby ranch ensued. Billy the Kid escaped, but the band of cattle rustlers was adequately destroyed and did not trouble the region again. And that was the only interesting thing that ever happened in Alzada, Montana.